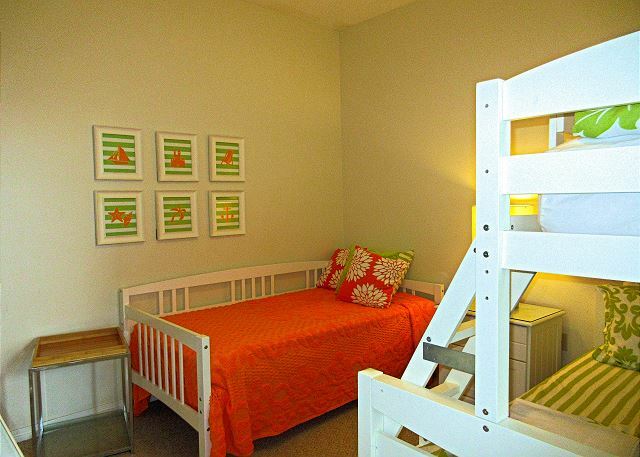 This 4th floor 2 bedroom, 2 bath unit sleeps 8. 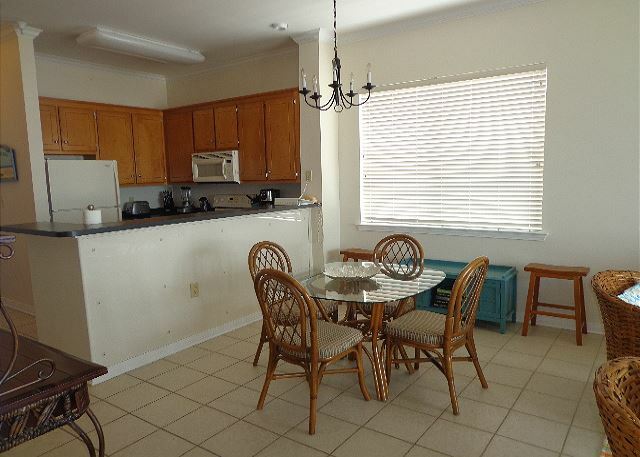 Rooms Sleeps 8, This 4th floor 2 bedroom, 2 bath unit sleeps 8. Enjoy the gulf view from your private balcony! 96 % of our reviewers would recommend this vacation rental. Had an amazing time. Would highly recommend for great time away from reality. Very nice condo for the rate for the season. Nice quite area to stay on the beach. Our second time staying at The Inn on Dauphin Island . Very good rental experience each time . Would highly recommend The Inn . Great website, simple rental process, great after hours check in / check out procedure, very well thought out , organized operation . Great location right on the beach . Beautiful beach , beautiful views . Very nice condominium . Only complaint is the living room and patio furniture in Unit 401 during our stay was very old , very worn and very uncomfortable . Under New Ownership!! New owners have replaced the couch in the living room and the mattress in the 2nd bedroom. Patio Furniture has just been re-done and is in great shape! Perfect for our family of 4! We decided to take a last minute trip to the beach with our young family of 4. We have a daughter, 3, and a son, 2, who have never been to the beach. 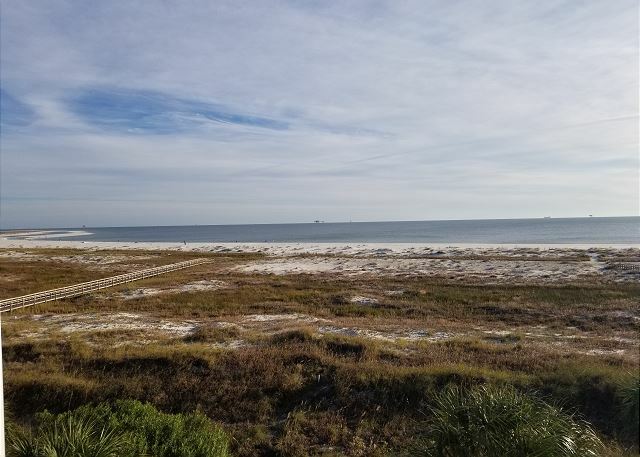 We live in Northwest Arkansas, so Dauphin Island seemed like the best and closest option for us. We initially booked the stay from Thursday-Sunday, but saw a tropical storm developing. We decided to go a day earlier. The management company was very responsive and accommodating! The condo was perfect, just as pictured and described. It was very clean and just the right amount of space (and items) for our 3 night stay. The balcony was spacious and had a beautiful view. The beach was within walking distance and were very clean and not too busy. We brought our own umbrella and wagon, which were lifesavers for us. Next time we plan to stay longer and explore the estuarium and bird sanctuary! Basically everything was grey - small problems fixed. This was our fourth visit to Dauphin Island. We love the peace and quiet on the island. If you prefer a lot of activity (shopping, bars and restaurants), you may want to go somewhere else. Overall, Unit 401 at the Inn at Dauphin Island was nice. Great view of the beach and very nice to be able to walk from the building onto the beach. Two nice pools. However, the furniture in this unit is not nearly as nice as other units in which we have stayed. The dining table seats only 4 people. 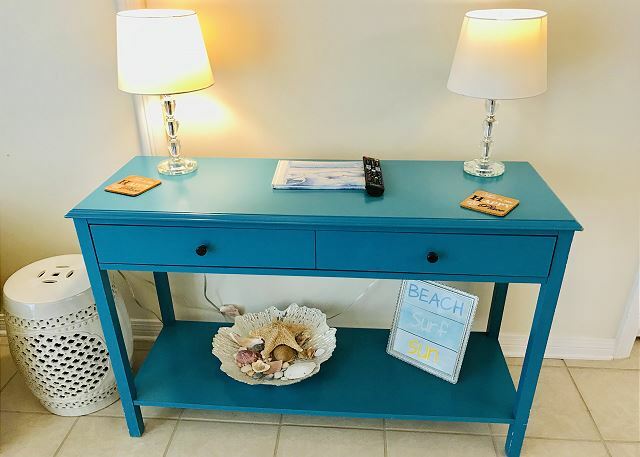 The living room furniture can use an upgrade. 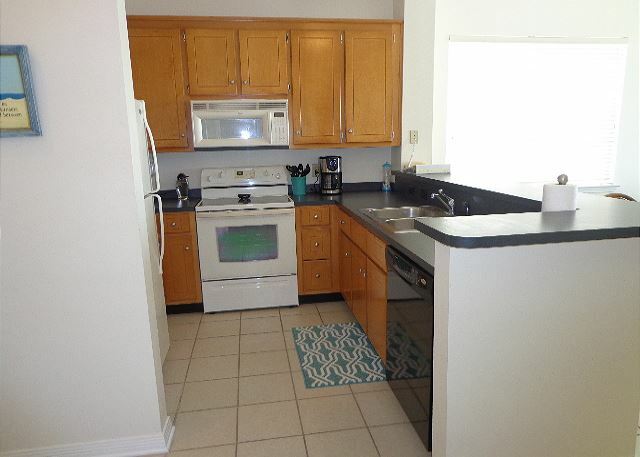 The kitchen has nice appliances but otherwise is not well equiped (i.e. dishes, pans). The quality of the matresses in the second bedroom is poor. Under New Ownership!! New owners have replaced the couch in the living room and the mattress in the 2nd bedroom. We loved the beach, and our condo was well decorated with beautiful views. Enjoyed our stay very much! Warm Welcome, Million Dollar View! When arriving at the desk to check in, the woman working was so kind and extremely helpful! She was very knowledgeable concerning the upcoming events during our stay and politely thorough regarding parking policies and building procedures. 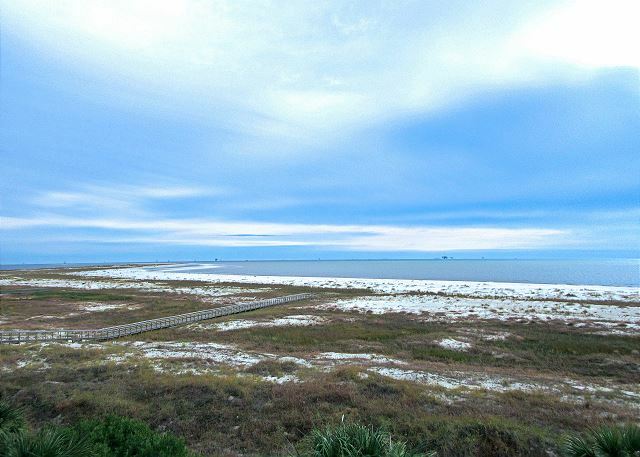 Our condo was spotless and beautifully furnished, but nothing compares to the absolutely gorgeous, million dollar panoramic view of Dauphin Island's sugary white sands! We had a great time! The condo was really nice with a wonderful view. 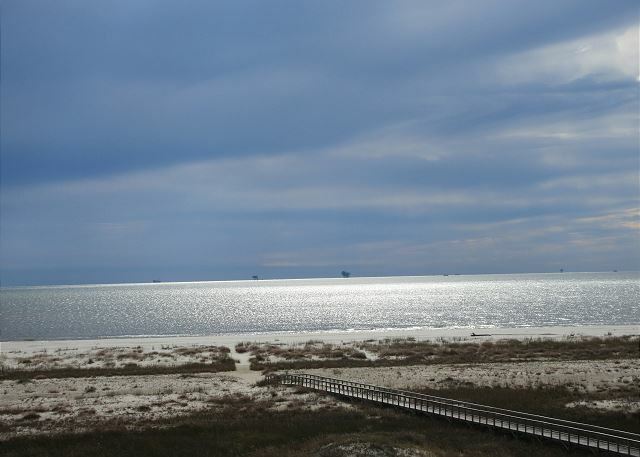 We always love our time at Dauphin Island and can't wait until our next visit! Our week at the beach was great. The unit was very clean and the staff was very responsive to any questions or concerns we had. First time to the island and it was fantastic. Very quiet and relaxing. Condo was perfect for my family very clean with a beautiful view the pool was located perfectly. My only negative was it was difficult at times to unlock the front door. We will definitely come back and stay again. We spend the winter here and love the facility and the appliances . Here are a few suggestions to make our stay ever more enjoyable. Seating need to be upgraded. Consider a glider rocker or recliner or a fireside straight back upholstered chair Very uncomfortable to sit to watch tv. Dinning room table is extremely low we got use to it but kinda strange. TV needs to be upgraded (sound is unclear)and DVD /vcr is hard and inconvenient to operate. Clean unit. This is a very nice quiet beach area. Great place to r&or. Beautiful condo! Perfect all the way around, we will be coming back for sure!!! We had a wonderful time with our stay. This is the second time that we have rented 401 and the third time that we have stayed at the Inn. 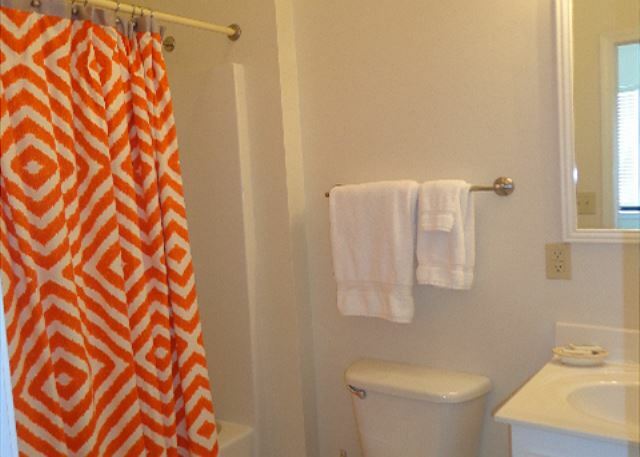 The unit was clean and comfortable and provided all of the little things that you need for a worry free stay. I have recommended this very unit to other friends who have rented it. Everyone comes back with a big smile and thank you's for letting them know about the Inn. To reiterate previous comments: If the unit has super thick mattresses, the bottom sheet should fit the mattress snug enough that rolling over in bed does not cause it to become "untucked;" units should have door stops that allow the door to stay open during loading and unloading of supplies at the beginning and end of stay. It is very difficult to carry a heavy load outside if the door cannot remain open. 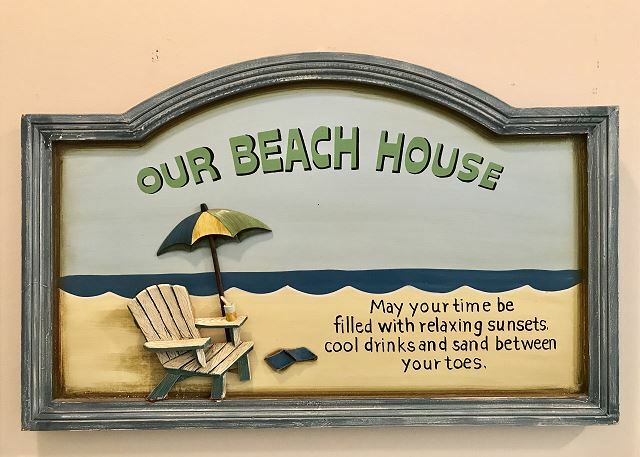 (While the higher sills (compared to the DI Beach Club)are probably a storm-protection effort, it is impossible for a single person to lift a heavily-loaded cart through the door, so items must be carried in individually.) If a washing machine (Inn 401) requires HE detergent, it should either be provided or a guest should be notified in advance. I had brought detergent (not HE) and the detergent available in the unit was not labeled as HE detergent, but a notice in the unit said to use HE (and it is a nice washer and I wanted to respect the notice). Perhaps simple instructions for use of more sophisticated appliances would be helpful. We loved our stay in this condo. It was nicely decorated, had everything we needed, and was plenty big enough for our family of four. 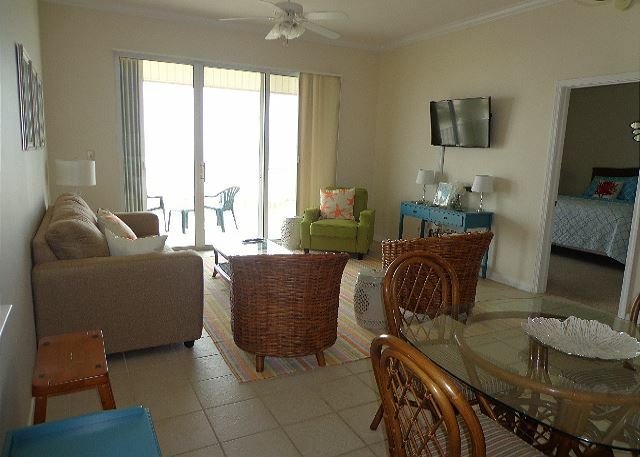 It has a great view of the beach and gorgeous sunsets. Not a lot to do on the island, perfect if you want a quiet, laid back vacation. Two things I did not like- the walk to the water was pretty far and the Gulf view includes several oil rigs. The rental was lovely. The condo was very nice, nicely decorated & beautiful location/view. The after hours check in was extremely easy & the front desk staff were wonderful. I did not encounter any issues with the rental. I will say, that I would not return to Dauphin Island to stay this time of year. The choice of restaurants is very limited & it seems their hours of operation are brief. Kenneth C from Dureka Springs, AR does not recommend this vacation rental. We were a little dissappointed with the rental. (1) The carpets and rugs were very dirty. (2)The condo was missing some basic items: garbage bags, dish detergent, some other minor things. (3)We were expecting nicer patio furniture. (4)We reported the double bed was broken and asked for someone to repair it. They never came. That made for an uncomfortable night for my son and his wife. The Inn at Dauphin Island was a great place to stay, very clean and had lots of room. The beach is a longer beach walk than normal but it was still a great escape away from work. I had a great time and plan to go back. Everything was great!! Nice and Clean. Will be going back next summer. The property was good but the location was not. Dauphin Island lacked a lot. Good food was hard to come by (what was available was expensive) and there was no grocery store near. It was a long trek from the condo to the water's edge and had to go thru deep, hot, stagnant water to get there. Peaceful Vacation with the Kids! We love beach vacations that are peaceful and away from the crowds. 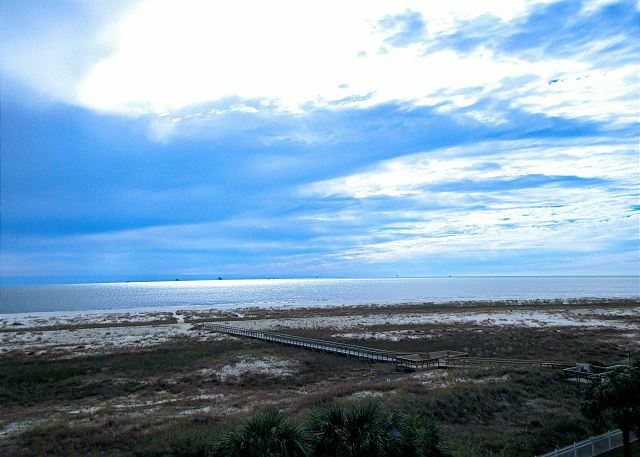 Dauphin Island has been our best choice yet! Our unit was clean and well-decorated. Kids always love bunk beds! 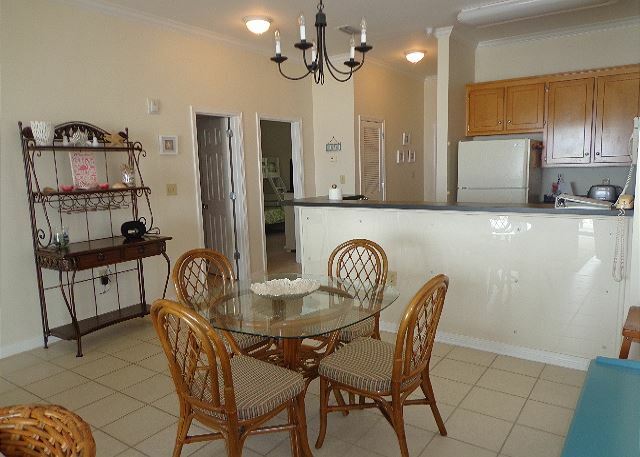 This top-floor, corner-unit had a fantastic view of the ocean and pool. We will definitely be back!